Today I’m sharing all of my 2014 Favorite Things and I’m giving away one of them! AND…I’ve banded together with some of my friends to give away their favorite things too! Aren’t you excited! Like Oprah, without the car. Shall we start talking about my favorite things? I have lots, and they range from kitchen gadgets to jelwery, clothes, food, and cards! 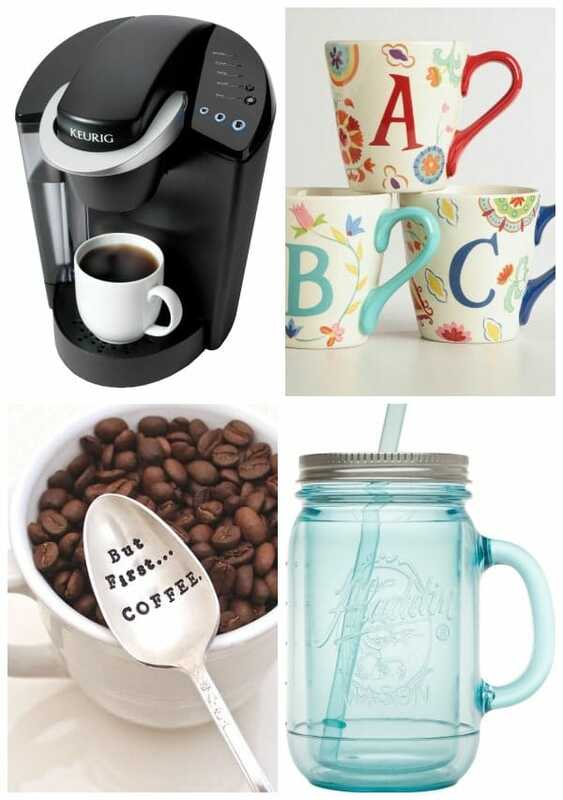 Any or all of these things would make great gifts for the people in your life. 1. 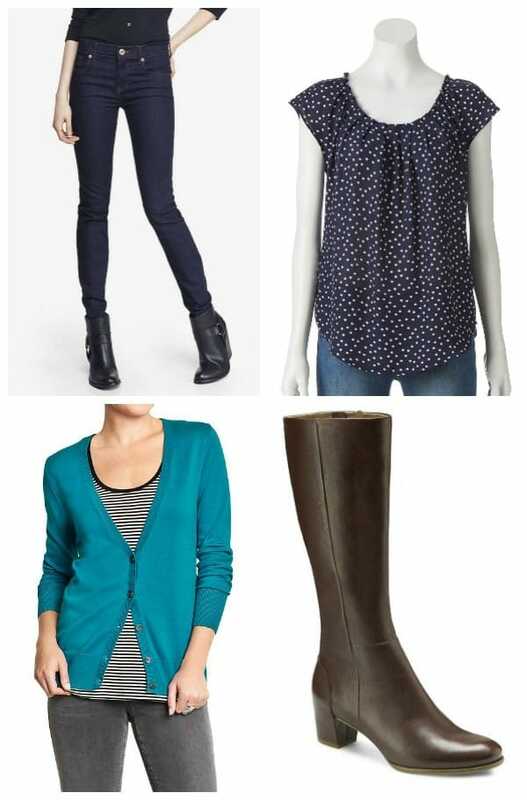 For her (or you): Clothes I love. I’m obsessed with Express Jeans. Remember those crops I bought in Miami? Well I just went and bought skinny jeans last weekend. They’re super comfy and hug in all the right places. I have the hardest time finding tops I like. I want them to be a little flowy to disguise my, er, problem area, but I don’t want to look pregnant. These LC Lauren Conrad Pleated Tops from Kohls are perfect. I bought one of every color! I pink puffy heart cardigans. In fact, I have one of every color on my Christmas list. My favorite? The Crew-Neck in Full Tealt from Old Navy. I wear it all. the. time. And, of course, boots. I wait impatiently all spring, summer, and most of fall for it to be cool enough to wear my boots. My favorites: the Ecco Palin. I wear them all the time, they’re super comfy, and they’re gorgeous too! 2. For the Coffee Lovers. Y’all know how much I love my coffee! No one talks to me in the morning before my first sip. I loved my old Keurig Elite brewer. I now have the one that makes cups or pots and I like it okay, but I liked my Elite more. I’m the only one in my house that drinks coffee, so having a Keurig just makes sense. Oh my gosh how cute is this coffee spoon I found on Etsy? It’s totally going on my Christmas list!! And lastly, plastic mason jars. I’m addicted. If I could replace all of my plastic cups with these, I’d be happy. They’re cute, I use them for water all year long and for iced coffee to go in the summer. 3. Christmas cards for the win. Every year I say I’m not going to send Christmas cards and then every year I march my family to the park and take photos and stress over the perfect card design and where I’m going to get them from. I want unique cards that are beautiful; I don’t want something that five other people also got from the same big box store. Last year I used Minted.com for my cards and I fell in love with them. They’re thick, printed beautifully, and they’re unique, with tons of personalizable options. The BEST part about the Minted.com cards are the back printing. You can put a full photo on the back or write a message. 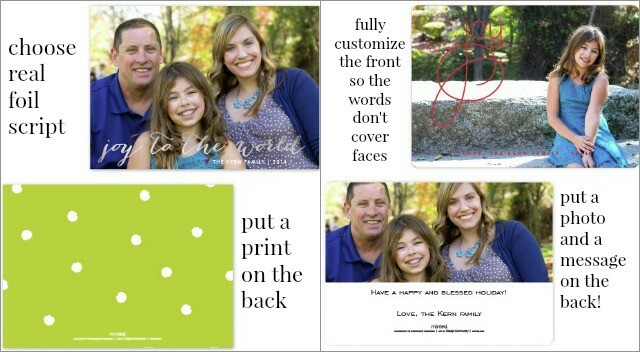 Or, you can even add a print/design or a photo + text on the back (see below). Many of the designs have movable words (like in the joy design, above right) so you can move the saying so faces aren’t covered. And their line of foil cards have actual foil designs on them. 4. Jewelry is always a good thing. I have to say, I’m a late-to-the-party accessorizer. I used to wear the same necklace every day, when I remembered to put it on. (Er, that still might be true.) Then I discovered how much I love new necklaces and now I have way too many! Something I really want is a non-gaudy “mother’s” necklace with our birthstone’s. Mel’s is red, mine is blue, and Jordan’s is purple, which I find kind of cool. This Mother’s Birthstone Necklace from Etsy is on my list this year! 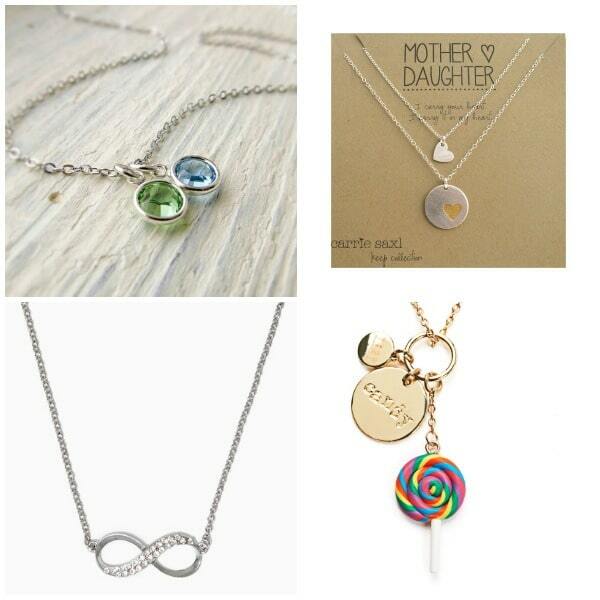 Also on my list, a gift for Jordan and I: this Mother-Daughter necklace set. How adorable is that? It would be a great layering piece too. 5. Food Gifts are the best gifts. Harry & David Pears are my favorite. 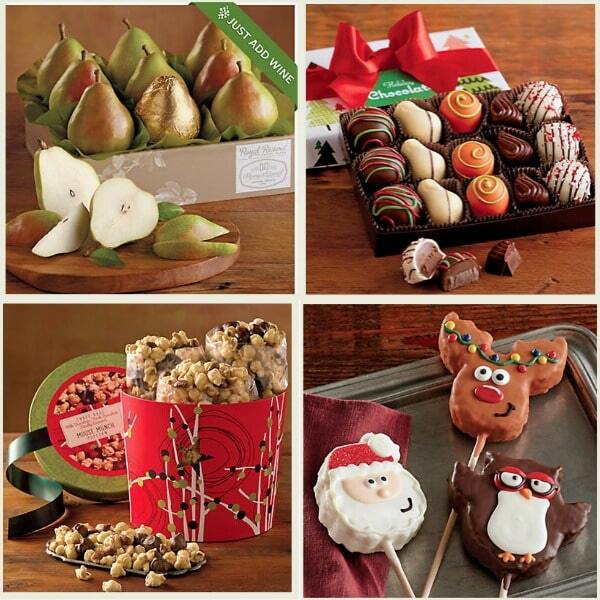 They make a great gift! Some of my peeps are getting Holiday Truffles this year. H&D makes all of their truffles on site, and they taste amazing. Moose Munch. Is there anything better? I had to include these Holiday Krispie Pops in my list of favorites because (1) they’re adorable and (2) Jordan made me buy her one and they’re actually really good. Kids will love them in their stockings! A food processor is necessary. And I always say, go big or go home. I used to have a small food processor and I hated it because I always had to divide my recipes in two to make them fit. Small ones are great for little jobs, but for regular recipes you need big one! I love my Cuisinart 14-cup Food Processor. Pricey, but worth it! A hand blender is great for so many things! Mine comes with a mini chopper (great for those little processing jobs) and I use the blender for all my soups. I hate transferring hot things to the blender and then back to the pot. 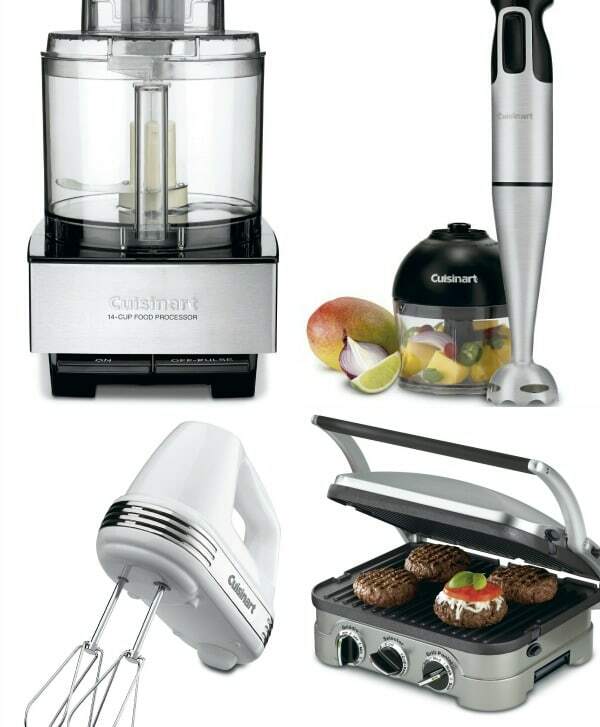 A Cuisinart Hand Blender gets rid of that messy step! A hand mixer. Even though I use a KitchenAid stand mixer for 90% of recipes, a hand mixer is super important. And, just FYI, after 10 years? You probably need a new one. I had an old Cuisinart that I got for my wedding in 2001 that still worked, but I recently got a new 7-speed hand mixer and it’s so much faster than my old one! My Cuisinart Griddler is, hands down, my most used appliance. Pancakes, french toast, grilled cheese, quesadillas, grilling…it does it ALL. (Which is why I’m giving one away!! See the bottom of the post.) You need to add this to your list! 7. 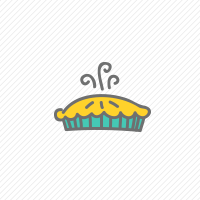 Kitchen Gadgets, because they’re cute. Oh, and functional too. I’m a kitchen gadget junkie, that’s for sure. But there are a few things I use all. the. time. Cute measuring cups from Sur la Table also make great props. These OXO adjustable measuring beakers are perfect for measuring peanut butter. And they go in the dishwasher! Pancake molds. I love making heart pancakes on Valentine’s Day. 8. Cute serving dishes (or props). I’m a sucker for a serving dish, especially if it can double as a prop. Little dip bowls from West Elm (or Anthropologie or Crate and Barrel or wherever!) I have a few but I want one in every color! Pi Plates. For obvious reasons. 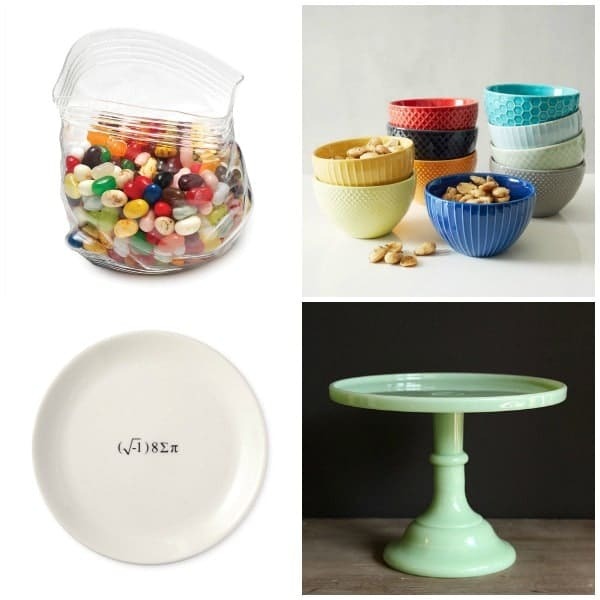 This green milk glass cake stand from Minted.com is my absolute favorite cake stand. It’s gorgeous and a true statement piece! What’s on YOUR list this year?? This post contains some affiliate links. This means that by clicking the link and buying the item I get a small commission, but it in no way changes the price you pay. 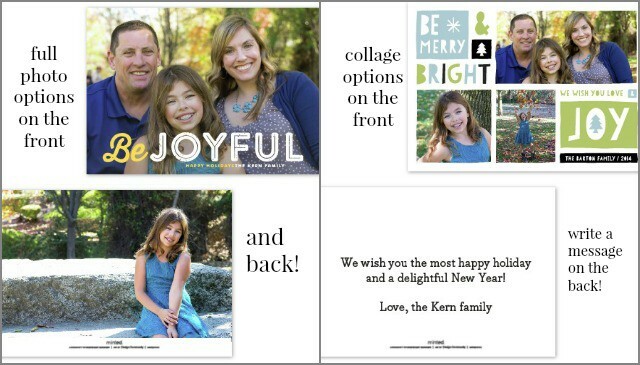 Minted.com supplied me with Christmas cards for this post, even though I would have bought them myself anyway. I really and truly love all of these items and I would be sharing them regardless of links or my relationship with the brand. Thanks for understanding! My hope is that I get in as these would be perfect for a lot of people on my list! Thank you for making such a fun list of all the fun things to strive for!! You had me at the boots! I’m in! Thank you to you and your sister bloggers for the opportunity to try to win! Really is a fun idea! YES! I would really love to win the 5-in-1 Cuisinart Griddler. Thank you so much and Happy Thanksgiving! This was a fun post to read. There are so many things on your favorites list that are favorites of mine as well. i.e. 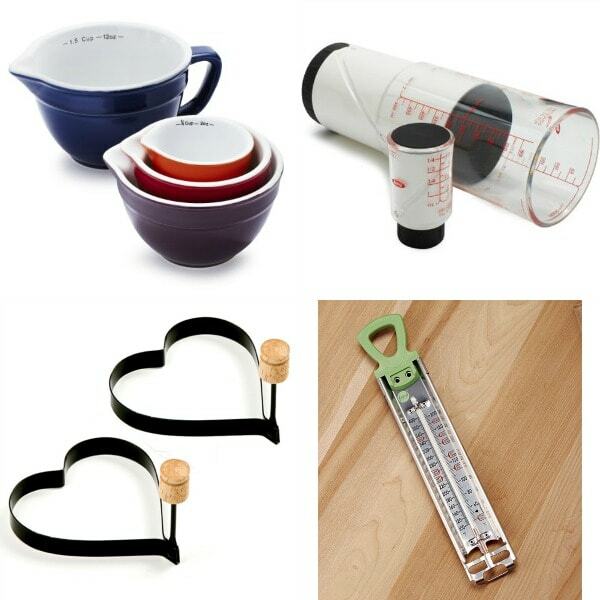 : cuisinart griddler and oxo measuring beakers. I found a few new things to put on my to get list as well.